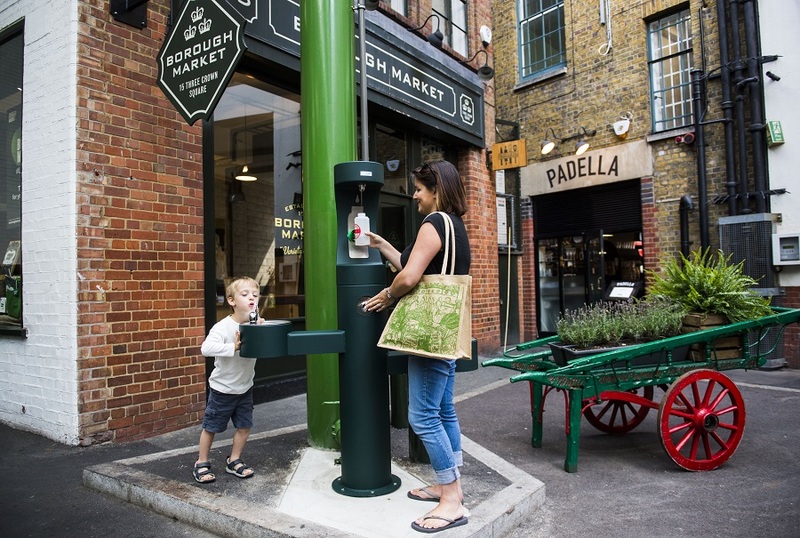 Today sees the introduction of free drinking water fountains at renowned food destination, Borough Market. The move is accompanied by an aim to phase out all sales of single use plastic bottles at the Market over the next six months. While the debate continues over whether supermarkets should have a plastic-free aisle in every store, the move to do away with plastic bottles reflects Borough Market’s aim to become Britain’s biggest food shopping destination that is entirely plastic-free and is an important step on that journey. 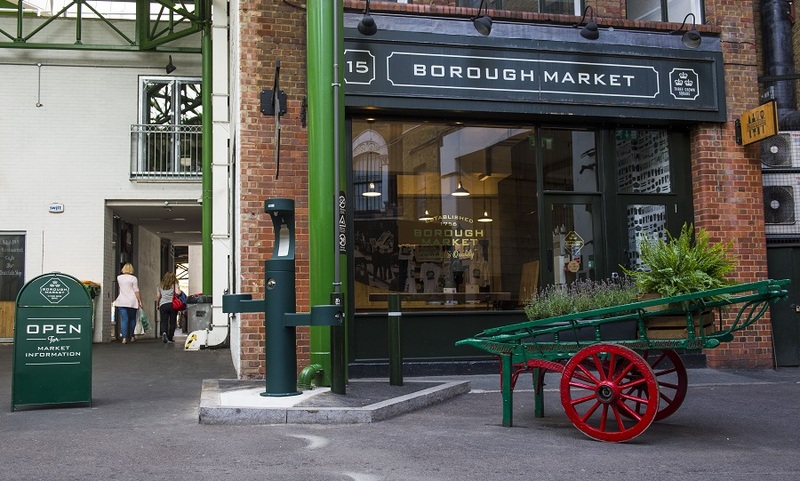 All other packaging used by the Market’s 114 traders over its 51,272 sq ft site aims to be bio-degradable and compostable, helping Borough Market achieve zero waste to landfill. 38.5 million plastic bottles are bought in the UK every day, but only just over half are recycled, while 16m are put into landfill, burnt or leak into the environment and oceans each day. Each fountain has two streams of water to drink from and one to refill reusable water bottles. 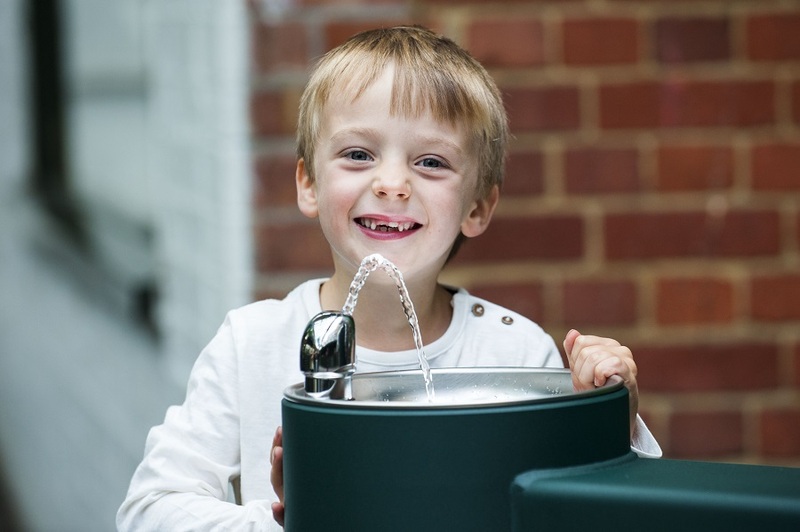 Plans are currently in place to produce Borough Market refillable bottles made from recycled plastic that can be purchased from stalls around the market. It’s great that people are increasingly aware of the health benefits of keeping hydrated, but we’ve been troubled to see increasing numbers of plastic bottles used every day, which damage the environment and add to litter. “By using the new Borough Fountains our visitors will be able to refill and refresh without having to buy a plastic bottle each time. Borough has long been synonymous with food markets and as far back as 1014, and probably much earlier, London Bridge attracted traders selling grain, fish, vegetables and livestock.